This is a story about a goldfish who was completely neglected – but had a spirit of a fighter to survive. 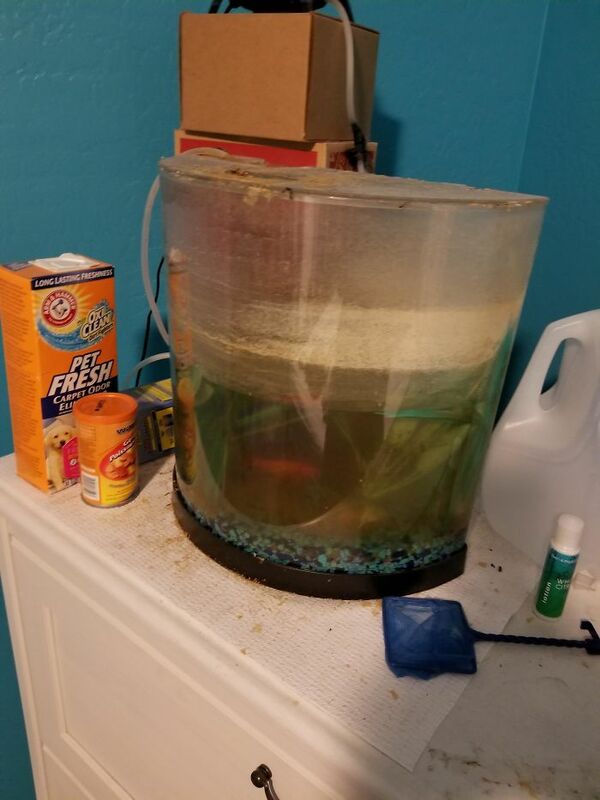 “Was given a fishy tank by my 16 year old niece, a goldfish won at the state fair 1.5 years ago that she never really wanted…and just kept living. He is a champion, really,” writes one Imgur user. 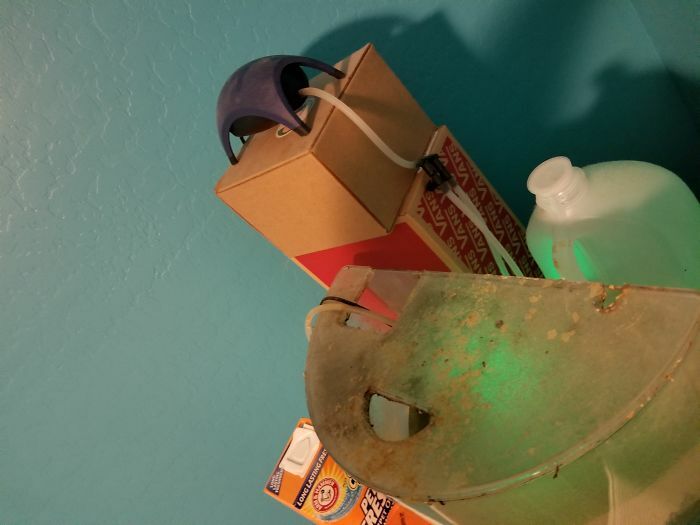 “His tank made me so sad no filtration, just aeration, the water was dense, but my little fishy was just chillen.” The woman refilled the tank to the top and set off to the pet shop to get a new aquarium. “So according to the aquarium dude, taking the fish from bad water to fresh quick is how you get a dead fishy. 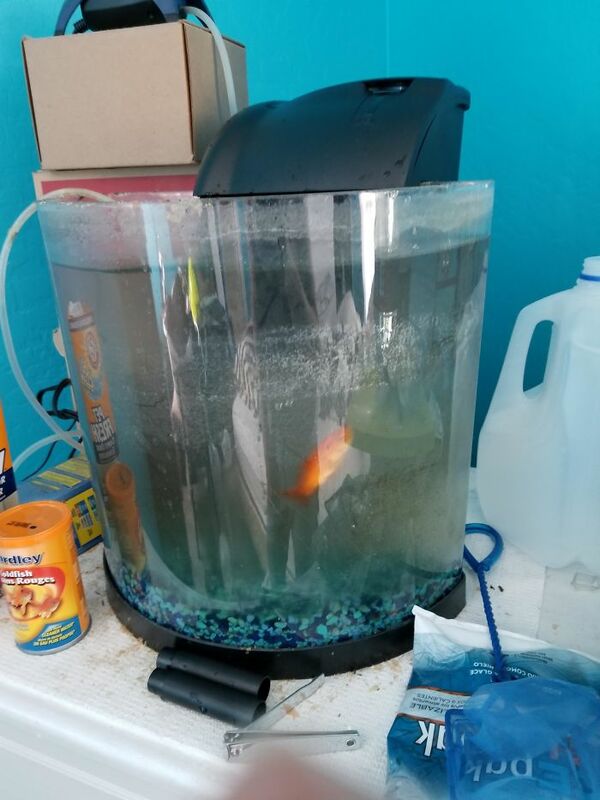 Which is fine cuz my aim was to spoil, and I needed time to slowly buy supplies.” The woman started slowly changing out the goldfish’s water, and after 2 weeks, the fish was fully upgraded to a cleaner existence. At first I thought the plastic fish was the goldfish. Adding new fish can be dangerous to a fish left alone that long. 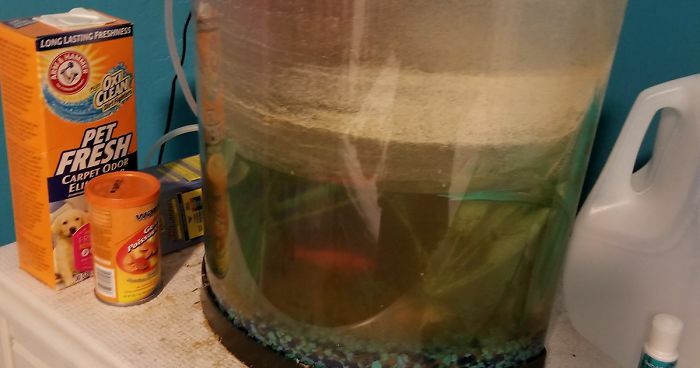 It could either stress out and die, or it might be incredibly territorial and kill the other fish. 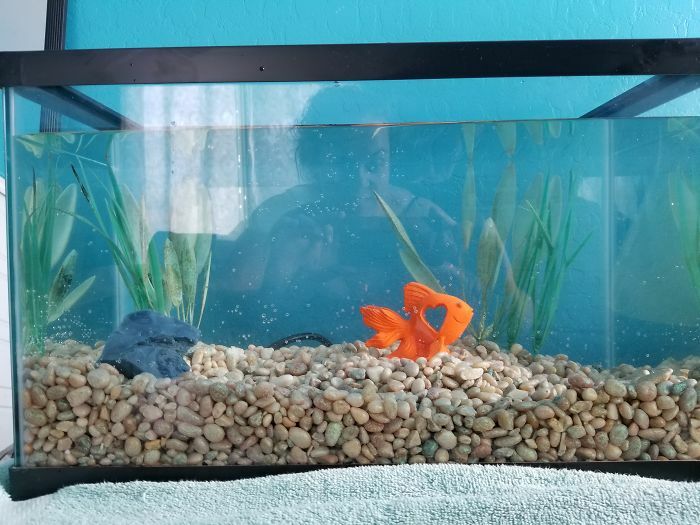 I had a goldfish by itself for 5 years. Finally convinced my parents to upgrade the tank and get another one.. it killed it the new fish in less than a week. It then lived by itself for another 4 years. My current adult life setup in my own place is a 40 gallon planted tank with dual aeration, and two canister filters, with a happy pair of Ryukin.